Debora Ann (Posey) “Debbie” Tubb was granted her angel wings on July 10, 2018. After a courageous battle with cancer, Debbie passed away peacefully at her home in the Centerview Community of Leon County surrounded by family and friends. Debbie was born and raised in Leon County and graduated from Centerville High School in 1974. She held both a cosmetology license and nursing license. Debbie was one of six children born to the late Arnold and Rachel Posey. Born on November 2, 1955, in Normangee Texas, she was their third child and their first daughter. In 1975, Debbie married her high school sweetheart, Richard Hyndman. Debbie celebrated motherhood in August 1977, with the birth of her son, Justin Hyndman, and just one year later, Debbie was blessed with a daughter, Nicole Hyndman Stanford. Debbie’s world revolved around her family, including those lucky enough to be part of her extended family. Debbie graduated from Charles and Sue’s School of Hair Design in 1979. Between 1979 until 1991 she owned and operated successful, thriving hair salons known as “Debbie’s Hair Fashions” in Centerville and Buffalo, Texas. 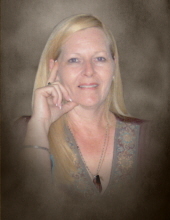 Debbie attended college at Navarro College in Corsicana, Texas and received her degree in nursing in 1992. From 1992 until she retired in 2007, Debbie's compassion, empathy, and love for life were put to use as a nurse, and she was dedicated to caring for others. Debbie was the beloved wife of Joe Tubb for the last twelve years. Debbie and Joe attended Centerville High School together and after they reconnected in 2006, they married on June 25, 2006, and built a life together in Leon County. Debbie loved spending time with her family and friends, gardening, painting, crafting and celebrating life. Debbie played piano for many years and was the pianist at Redland Missionary Baptist Church during her youth. Debbie loved music and caring for others. She devoted much of her time and energy taking care of her family, including her mother who passed away at age 81, and her father who passed away at age 89. Debbie will forever be remembered by her husband, Joe Tubb; sisters, Cynthia Jackson (and her husband, Donald), Sheila Posey, Patsy Barber (and her husband, David), Judy Sherman (and her husband, Tommy) and Patsy North; her brothers, Frank Posey (and his wife, Valerie) and Monty Posey (and his wife, Lynda); her son, Justin Hyndman (and his wife Natalie); her daughter Nicole Stanford (and her husband, Dustin); four grandchildren, Tyler Hyndman, Logan Jones, Maci Stanford and Blaklee Hyndman, and dozens of nieces and nephews. Debbie was preceded in death by both of parents, Arnold and Rachel Posey. Debbie touched the lives of many people with her smile and generosity and maintained her story-telling gift and sense of humor all the way to the end. Friends and family are invited to attend a celebration of Debbie’s life Saturday, July 14, 2018, at 10:00 A.M. at Walters Funeral Home in Centerville, Texas. Interment will follow in the Hyndman Family Cemetery. Debbie’s family will receive friends Friday, July 13, 2018, from 6 P.M. to 8 P.M. at the funeral home. Debbie’s family wishes to sincerely thank the staff at Bristol Hospice for the love and compassion shown to Debbie. Debbie had a heart for giving to those who needed help and often did so without any expectation of acknowledgement or gratitude. In lieu of flowers, and to honor her selfless and giving nature, Debbie’s family requests that individuals “pay it forward,” and when doing so, think of Debbie and how much joy it brought her to help others. To send flowers or a remembrance gift to the family of Debora Ann "Debbie" Tubb, please visit our Tribute Store. "Email Address" would like to share the life celebration of Debora Ann "Debbie" Tubb. Click on the "link" to go to share a favorite memory or leave a condolence message for the family.